Was the Tour de France Worth It for Yorkshire? 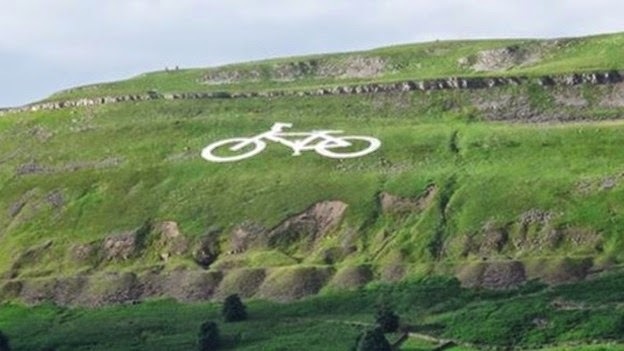 The start of the Tour de France in Yorkshire this summer was certainly greeted enthusiastically, but some still question the cost of staging this event. So was it worth that investment? The evaluation report published last week* certainly thinks so (NB: This covers the Cambridge to London stage as well as the two Yorkshire days). I've looked at this evaluation with a critical eye. On the plus side, there’s some detailed research behind its assessment of economic return. This considers negative aspects such as disruption caused by traffic and road closures, as well as the obvious positives. It also bases its assessment mainly on immediate impact rather than relying on longer-term effects on business and tourism. Whilst long-term factors are mentioned, their impact will decline as other regions (and other countries) stage different events to attract visitors back, so any financial estimate here would be highly speculative. In some respects the report may even understate some benefits, because it doesn’t put a financial value on what difference the event made for spectators and communities (as a Social Return on Investment analysis would). The excitement and community spirit come across anecdotally but are not quantified in any way beyond counting spectator numbers, although there are figures for people who say they will cycle more. So far so good, but I also have some criticisms of the report. The first is simply its presentation. Yes, by all means use attractive presentation with pictures, infographics and stories, but this is over the top. The huge glossy quotes are all from event organisers or sponsors, negatives feedback is downplayed, and the whole thing reads more like a sales brochure than an objective evaluation. It gives the impression that the outcome was a foregone conclusion and this is just a PR exercise. Second, the actual costs of staging the event are unclear. A figure of £31m is implied for the full three days, but there is no detailed breakdown of where this came from and no clearly stated return on investment (ROI) ratio. Third, it doesn’t consider ‘displacement’ – if a million visitors to Yorkshire spent £87.9m over the TDF period, that’s a million people spending less elsewhere. At least some of Yorkshire’s gain will have been at the expense of other regions or other countries, so this isn’t all ‘new money’. Of course, you may feel (like me) that an economic shift of this kind towards Yorkshire is a good thing. I’m less convinced about the need to shift economic benefits towards London though, as Day 3 did. Last and probably most serious, the report has no real conclusions other than the value achieved, and no recommendations. Should Yorkshire host the event again in the future? What should it do differently if so? Why was the Cambridge to London stage less successful than the Yorkshire stages? None of this is asked, let alone answered. Personally, I believe that the benefits to Yorkshire from the Tour de France fully justify the money invested. But I'm a lot less sure whether the money paid for this evaluation report was well spent.